Macaroni wheat (also Durum or Pasta wheat) Triticum durum is a very widely cultivated hard wheat. 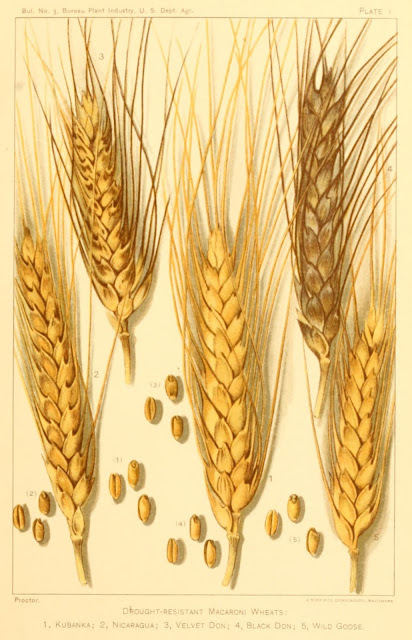 It was developed in the near east about 7000BC by artificial selection of the domesticated emmer wheat strains that were grown there. More HERE.